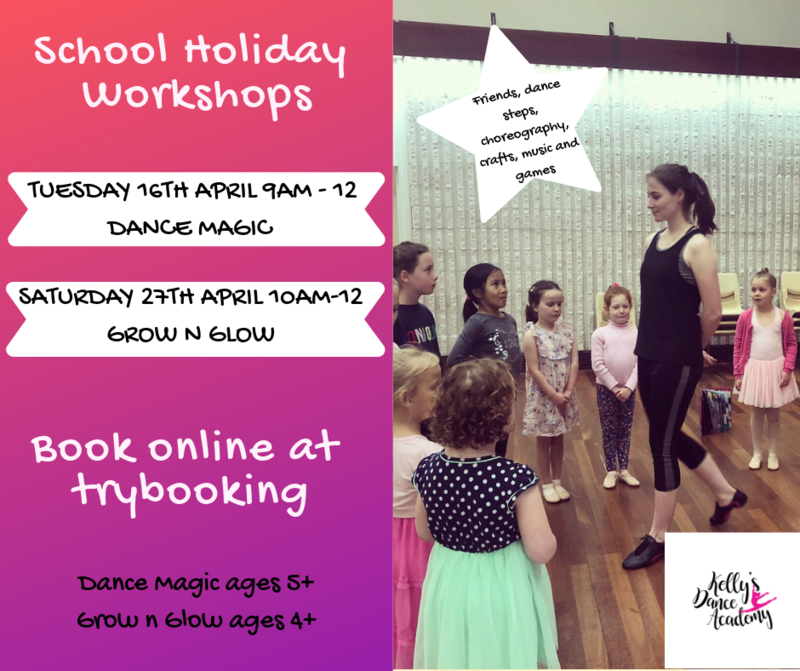 Your child will love learning to dance with us as we take them on a magical journey through gently structured classes, that are well organised and age appropriate. As your child carries out their first plié or masters skipping – they are all very special moments that form the groundwork of our classes and your child will learn so much more than dance. Our warm teachers provide stimulating and fun classes where your child will learn an abundance of skills to fill their minds and develop their love of dancing. You will see your child’s confidence develop, both in and outside of the dance studio, they will make friends, build on social skills and interactions and learn how to follow instructions from a teacher. Enrol Your Child Online Today! Join us these April holidays for 2 exciting workshops. Let us take your child on an inspiring and supportive journey…. Give your child a wonderful dance experience and join us in 2019. Our enrolments are open year round and we can often take mid term enrolments, where space allows. Complete an enrolment or enquiry form and we will contact you to discuss the most suitable class for your child. Some of our classes do fill up very quickly and we have dancers on the waitlist, so do not hesitate to contact us today to ensure we can have your child dancing with us next term. See Our FAQ’s Page For All Those Important Questions! We pride ourselves on being a nurturing, friendly, no-pressure dance school providing a safe supportive place for your child to dance. Everything can be seen on our website or we invite you to book in a day to visit one of our classes. Our recitals form a very magical end to our year of dancing and are enjoyed by all. At Kelly’s Dance Academy we like to keep our recitals low key, affordable and most of all enjoyable. Each year our dancers take to the stage and they soak up the wonder of performing in a positive way, providing them with memories to last a lifetime.